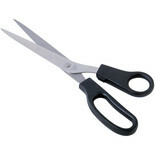 A set of three stainless steel scissors with really comfy soft grip rubber handles. 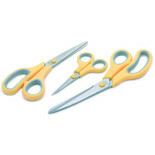 There's 3 different sizes in this set (140mm, 225mm and 250mm) and they are ideal for use in the kitchen or office. 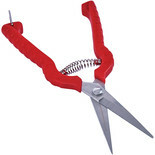 These 10" plastic handle general purpose scissors are designed to be used when wallpapering.